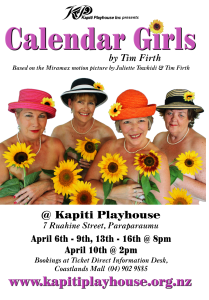 Coming in April - Calendar Girls - Kapiti Playhouse Inc.
It’s here – the official poster and announcement of Kapiti Playhouse’s first 2016 production – Calendar Girls! Rehearsals are now well underway and things are coming together nicely. You’ll be able to see the show on Wednesdays through Saturdays between 6th April and 16th April at 8pm and also at a special matinee performance at 2pm on the 10th April. Tickets will be available from Coastlands Ticket Direct Information Desk from 14th March. 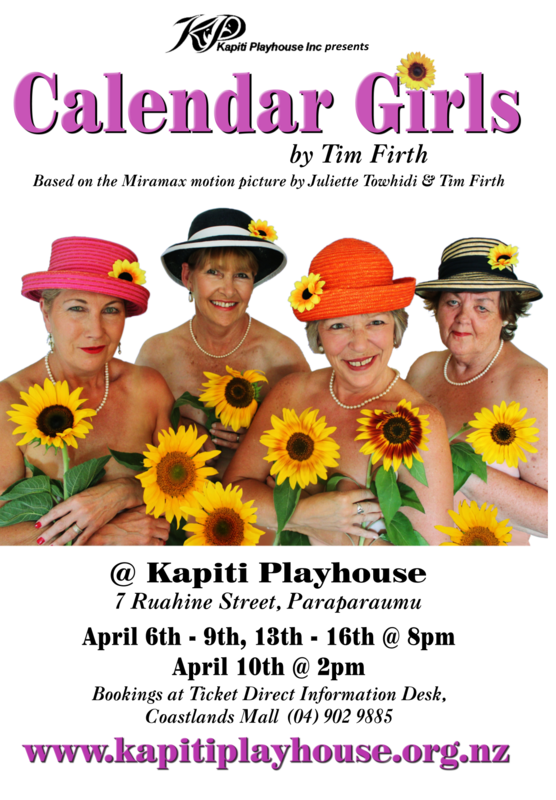 Keep an eye out on Facebook and our Website (including the Calendar Girls production page) for more details between now and then!